By using non-blocking network I/O, Tornado can scale to tens of thousands of open connections, making it ideal for long polling, WebSockets, and other applications that require a long-lived connection to each user. A modern Rust framework inspired by Elm and ReactJS. This framework is designed to be compiled into modern browsers' runtimes: wasm, asm.js, emscripten. Why do developers choose Tornado? Why do you like Tornado? Why do developers choose Yew Framework? Why do you like Yew Framework? Why do developers choose Swifton? Why do you like Swifton? What are the cons of using Tornado? What are the cons of using Yew Framework? What are the cons of using Swifton? What companies use Yew Framework? What tools integrate with Tornado? What tools integrate with Yew Framework? What tools integrate with Swifton? What are some alternatives to Tornado, Yew Framework, and Swifton? 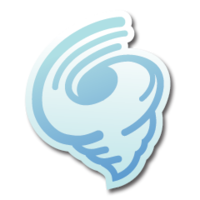 SpreadServe's RealTimeWebServer is built in Tornado. Spreadsheets loaded into SpreadServeEngine instances are projected into browsers using Tornado. Server side recalcs are pushed to the browser using web sockets. setup an api for a client with tornado backend. incredibly fast and lightweight. unfortunately breaks down when using third party libraries which block internally. Tornado with Async/Await coroutines provided in Python 3.5 make up for an excellent stack for a micro-service.